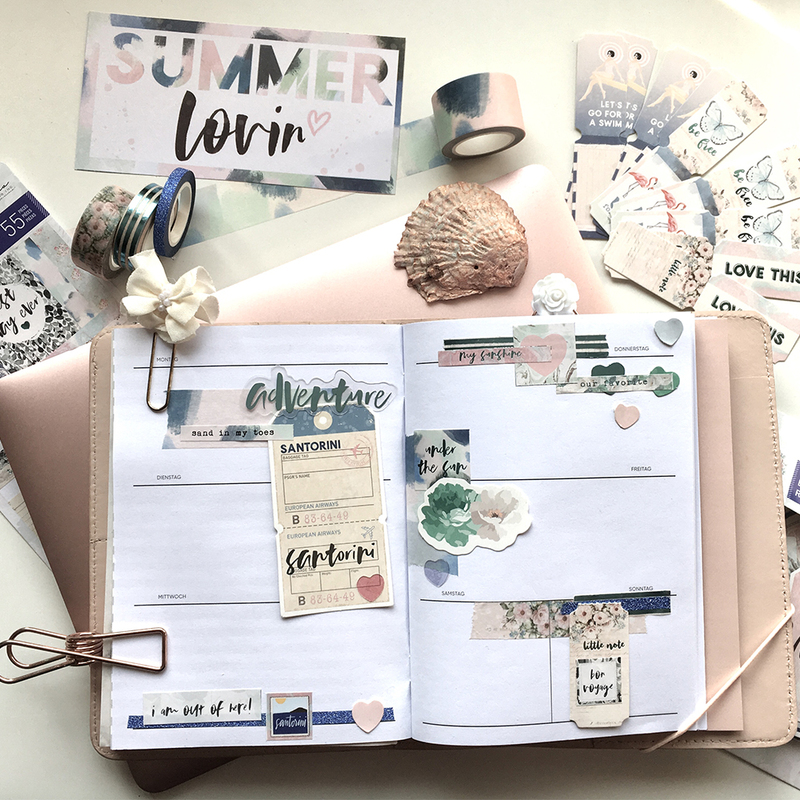 It is time to say goodbye to the Summer Vibes for 2018, but what better way to say goodbye than with a documented journal. 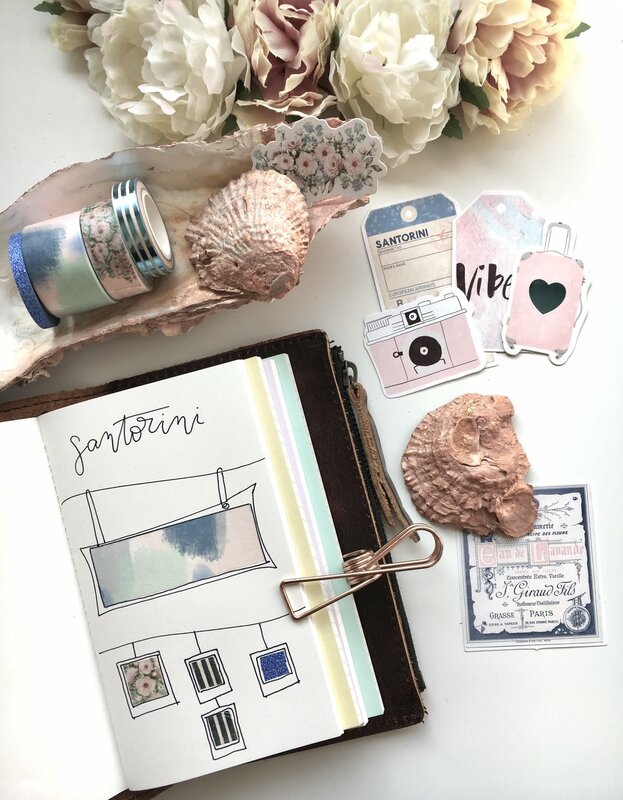 Join us as we see how Sophie from @phiespoetry in Instagram used the Santorini collection on her travelers journal. Throughout our summers we create many wonderful memories and some times we forget all the details in the years to follow so what better way to remember than using a journal. Our Prima Travels Journals give you full freedom to document those moments using different collections and the fun elements in the collection to make these memories more memorable and beautiful. The Santorini collection has a beautiful summer vibe to it with beautiful teals, blues and pinks. 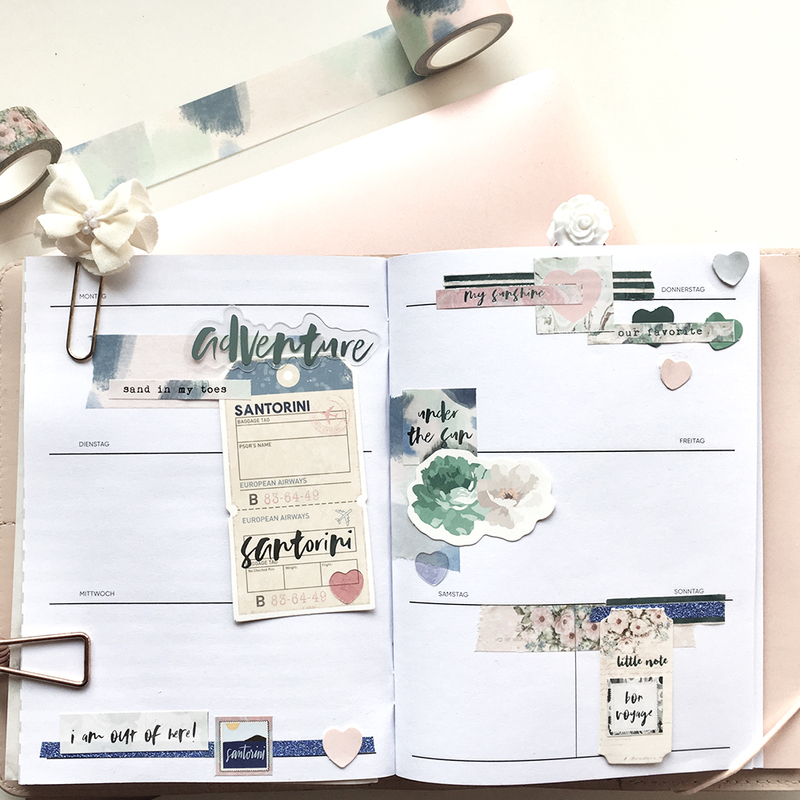 This collection has a beautiful washi tape set and ephemera which will bring your entires to another level or creativeness. 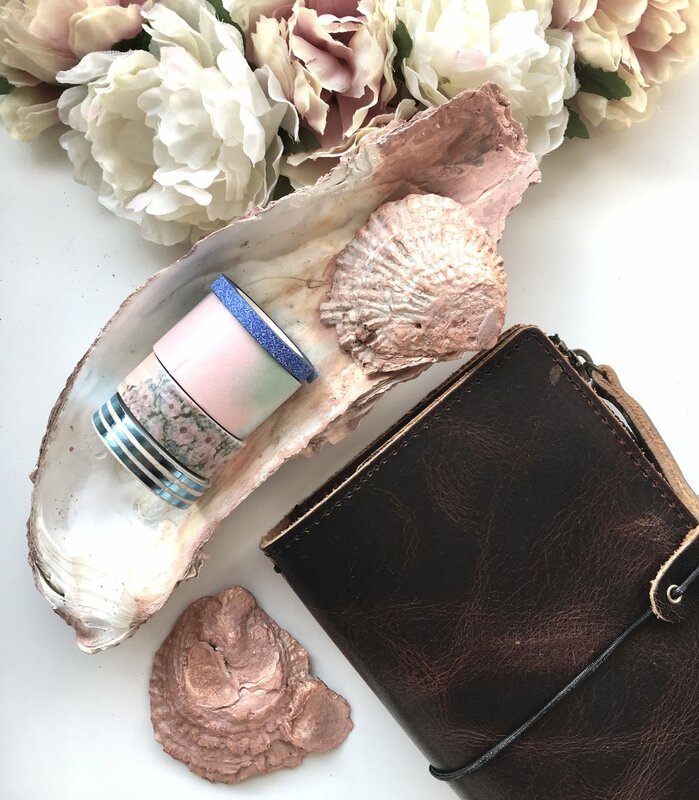 Summer Vibes can be created any where from home to a vacation at the beach, no matter where you go make memories to journal about and reminiscing on in years to come. Make sure to document all those fun adventures. To see more creations and beautiful inspirations by Sophie make sure to follow her on her personal Instagram @phiespoetry.